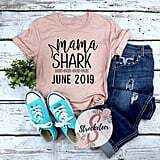 "Baby shark, doo-doo-doo-doo-doo-doo, baby shark, doo-doo-doo-doo-doo-doo . 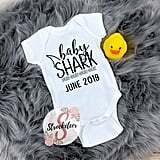 . . "
If all you've heard on your TV and in your subconscious in recent weeks is the Baby Shark song, even Kylie Jenner feels your pain. 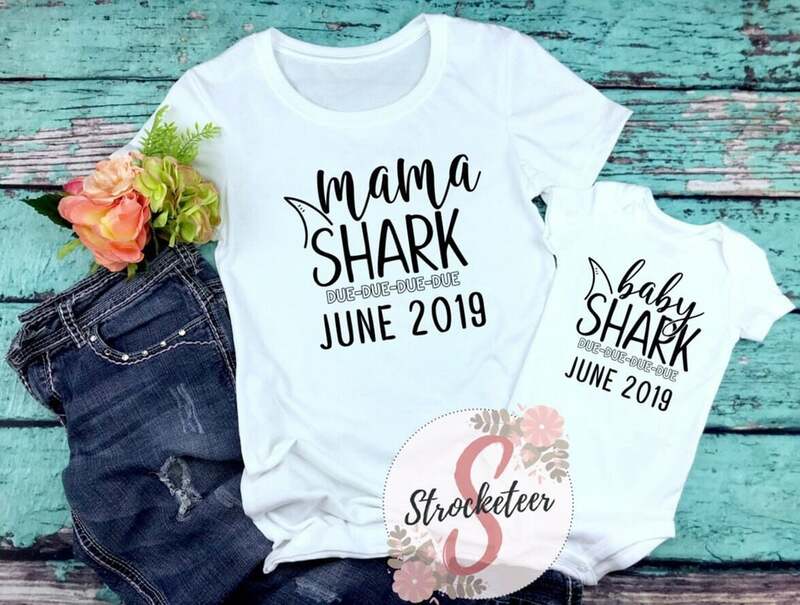 The toddler phenomenon may be simultaneously catchy and irritating, but there's no denying the hilarity of playing off a viral trend, not matter how hellish it may be, which is why we're obsessed with Strocketeer's mama shark pregnancy tees and baby shark custom due date onesies. 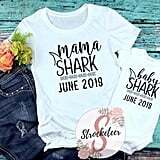 Available in a bundled set for mom and baby, or sold per piece, these would definitely make for a clever pregnancy announcement. 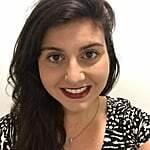 Do-do-do-do-do-do-do check them out ahead!